I love dresses… and pockets! Put these two together and I’m in heaven! 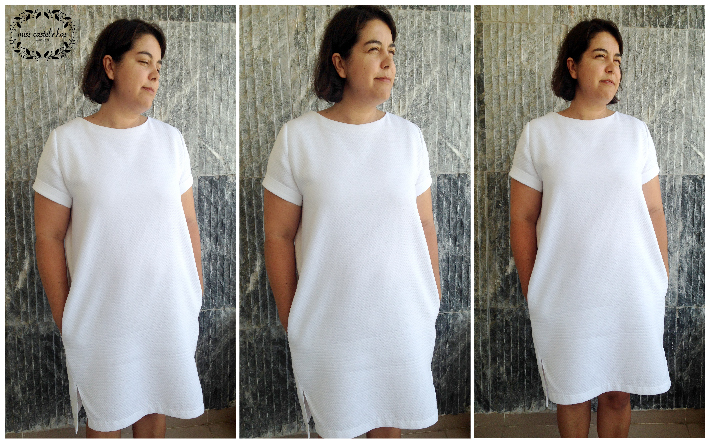 I recently finished making two Inari Tee dresses (yep! I love it that much!). After finishing the first one, I tried it on, and something was missing… I never know quite what to do with my hands, so as I was wearing it, I kept trying to find pockets without even thinking about it. So what does one do?! 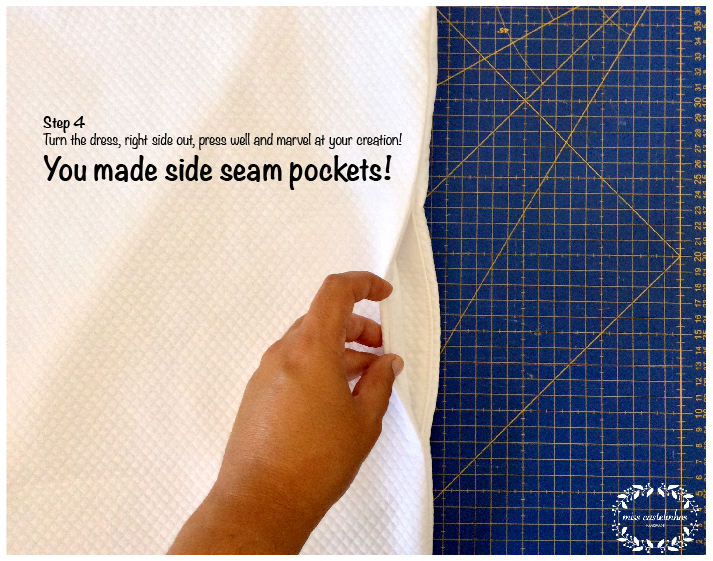 Make another one with pockets! 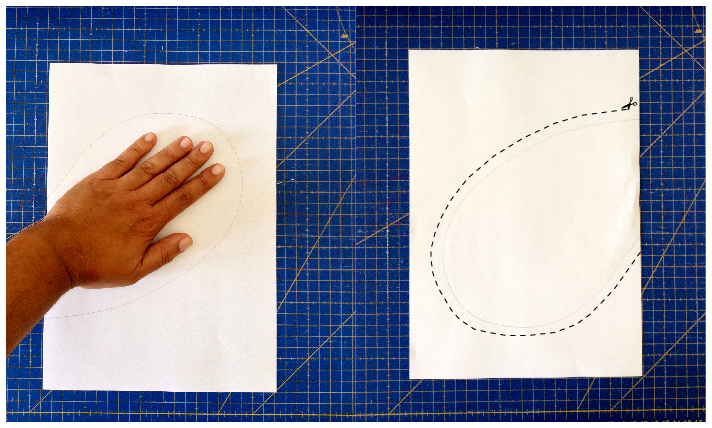 It was so easy to make this tiiiiiny pattern hack, that I wanted to put a tutorial together. 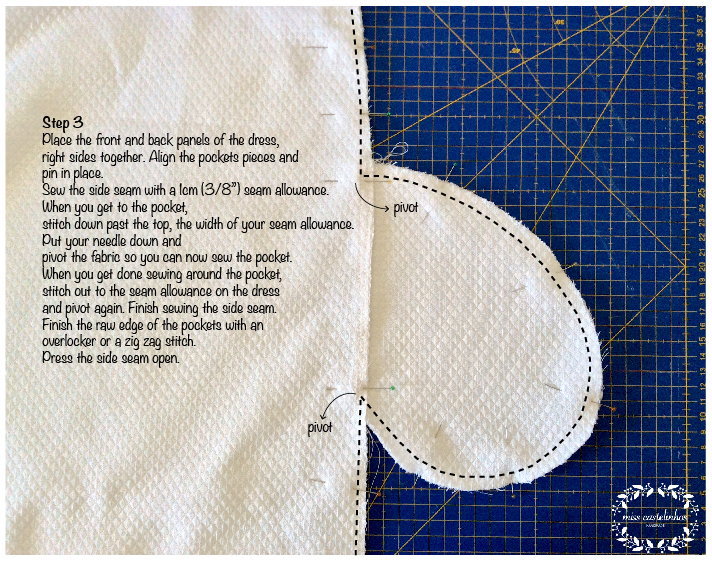 Also, you can add this pocket to all sorts of garments… skirts… tunics… shorts… you name it! 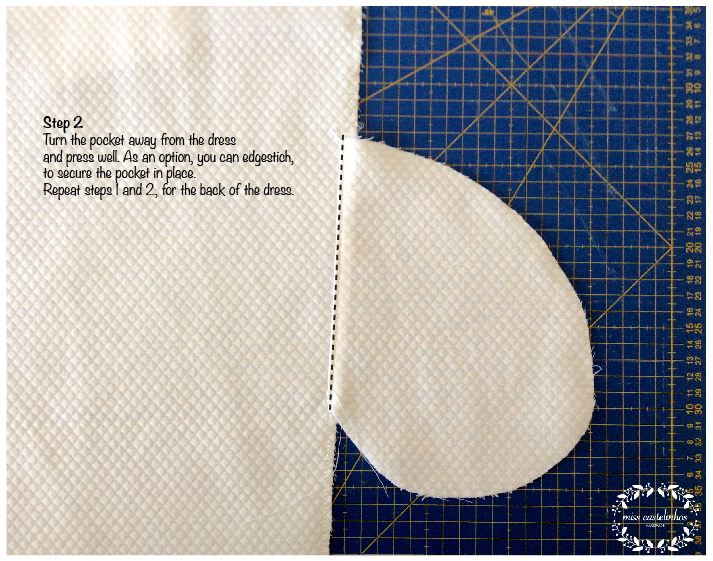 The first thing you have to do, is determine the position of the pocket bag in your garment (I would suggest using a similar RTW piece as guidance…). In my case, it was pretty easy. I just used one of the side notches from the pattern, as a reference for placement. 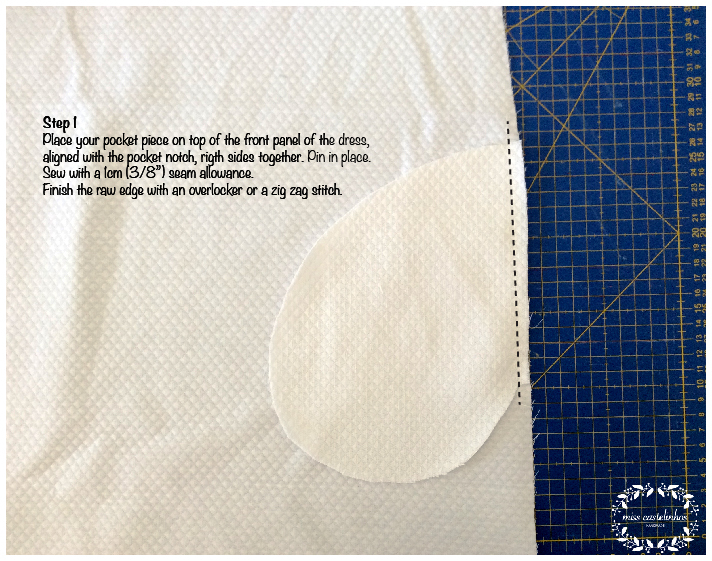 Then you need to draw your pocket piece (I used one from another pattern…), which is really easy! tal como tu, por vezes dou por mim à procura de bolsos onde eles não existem.